The branches of the federal government in America are well-known. Most everyone understands they are a system of checks and balances, that there are three and can even name them. Many of these people can also name all seven dwarves. However the scary fact is, if you ask these people, where do these branches stem from? What do the branches of government grow out of? What is the tree of liberty, what are its parts? Most will look blankly or reply with a general guess, ‘the tree is the constitution,’ ‘it’s the country’, ‘the tree is democracy’, ‘Americais the tree’, ‘the tree is freedom’, etc. 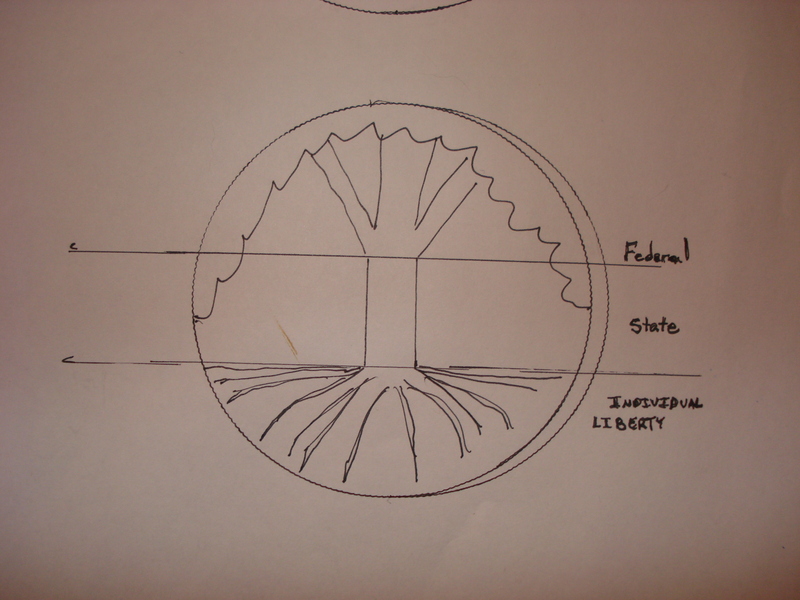 Like the branches of the federal government, the tree of liberty is also made up of three sections. These three levels of governing authority in our nation are referenced in the Constitution, however are forgotten and missing from our modern ‘national’ model mindset. To own, improve and transform one’s property freely and privately, through human ingenuity, energy and effort for personal or family gain, sovereignty, independence and joy, thus creating an opportunity for a moral and just society. Oppose all forms of tyranny over the minds of man. A protective canopy of national sovereignty in defense of the trunk and shaded, peaceful shelter to the liberty of the citizens on the land. The anti-monarchy constitutionalist founders believed very little power should be in the hands of one man (or king) and believed in a government limited to the powers authorized and those authorizable by the individuals who had created it. Just as the separation of powers are checks and balances intended to prevent the misuse of power within the federal government, so the three sections of the tree of liberty further balance with overriding checks, any government abuse of power, tyranny or violations of private individual’s civil liberties and fundamental natural rights. 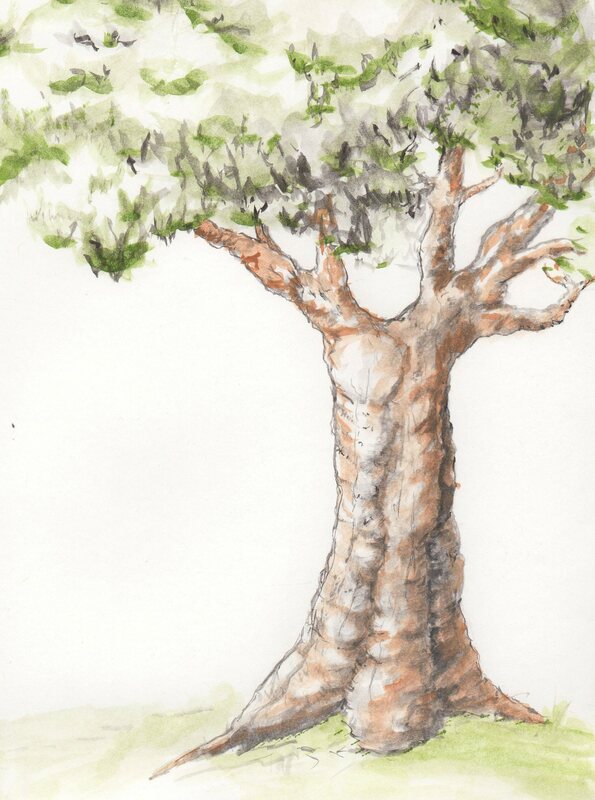 The bodies of the tree of liberty are written into our founding documents. It is a structure which used to be commonly understood and legally recognized in the American Republic. It is the founding principle of personal; property, responsibility, liberty, freedom and sovereignty upon which this Republic intended to defend. Go from us in peace. ‘Yet where does this anarchy exist? Where did it ever exist, except in the single instance ofMassachusetts? And can history produce an instance of rebellion so honorably conducted? I say nothing of it’s motives. ‘We have had thirteen states, independent eleven years. There has been one rebellion. That comes to one rebellion in a century & a half for each state. What country before ever existed a century & a half without a rebellion? And what country can preserve it’s liberties if their rulers are not warned from time to time that their people preserve the spirit of resistance? The remedy is to set them right as to facts, pardon & pacify them. Today, with fifty states, those numbers are even more incredible with revolution hitting each ‘country state’ every five and half centuries. And sometimes those in rebellion are not in ignorance but are indeed fighting against true tyranny. You state that the role of the judiciary is to strike down unconstitutional law, policy and action and that the authority to do so comes from the constitution. This is certainly not a sentiment expressed by James Madison, can you identify specifically where that authority is granted to the courts? Can I ask a more personal question? What type of movies do you really like? out a bit more about the writer, thanks! What films have moved you?